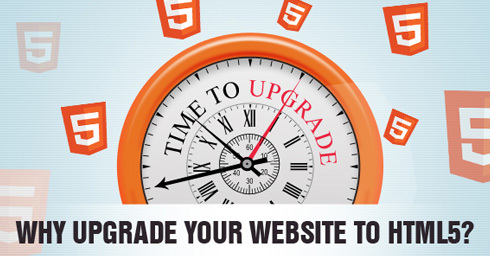 You need to upgrade your website to HTML5 and fast. Here are 5 compelling reasons to do so. HTML5 is the new web standard and more devices and businesses are adopting it than ever before. As per Google close to 10% of the web is now using some elements of HTML5 in their design . Even more compelling evidence is from the biggest companies in the world. 153 of the fortune 500 or slightly over 30% had already moved to HTML5 by August 2013. Adopting HTML5 means you are preparing for the future. 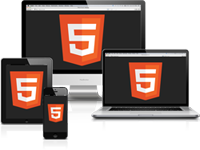 HTML5 has been built to work across devices. It is the first HTML standard which considers mobile and has made significant strides to make the markup adaptable. You no longer have to work with multiple markups for different devices. As tracked by Mobile HTML5, the Mobile compatibility for HTML5 is extremely high across a wide range of mobile browsers. HTML5 and CSS3 combine to give extremely effective tools to designers to do what Flash could. With this development, more web developers are building amazing experiences with HTML5 and CSS3 and this will continue to grow. It comes with easy audio, video and multimedia integrations reducing your dependency on plugins. 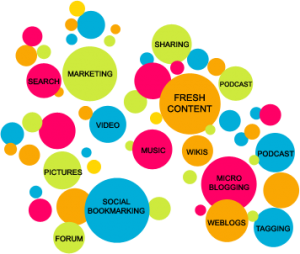 Online visibility for any business is influenced by leading search engines like Google, Bing, Yahoo and social sites like Facebook, Twitter. All are strong supporters of HTML5. Google already provides web design tools you can use to quickly build and bring your ideas to life. HTML5 has added many new features to help include rich content elements including the new <video>, <audio> and <canvas> elements. SVG has been well integrated. MathML helps easily add mathematical formulas. These features make it easy to include multimedia and graphical content on the web without having to resort to proprietary plugins and APIs. The APIs and Document Object Model (DOM) are now fundamental parts of the HTML5 specification. To provide for better context and meaning, new elements, such as <section >, <article>, <header> and <nav> are designed. This enriches the semantic content of documents and reduces the excessive use of the <div> element. Some elements, such as <a>, <cite> and <menu> have been changed, redefined or standardized. As you can see, the trends are clear. Most importantly it’s not that hard to move. Most non-standard browsers have lost significant market share and compatible browsers dominate. It won’t be long before HTML5 reaches 100% compatibility with all browsers.